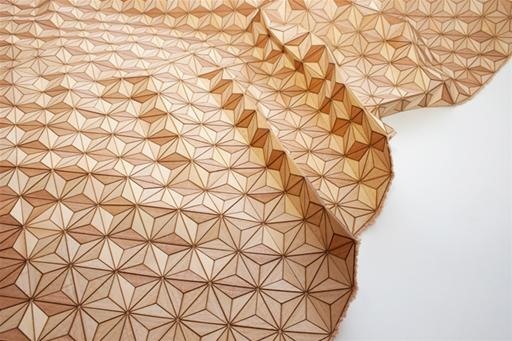 Elisa Strozyk's wooden textiles fold and drape in beautiful forms. 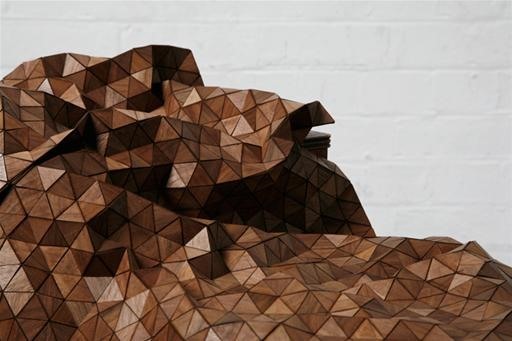 Incredible how a hard material combined with a simple, pieced construction can take on both sculptural and fluid qualities. 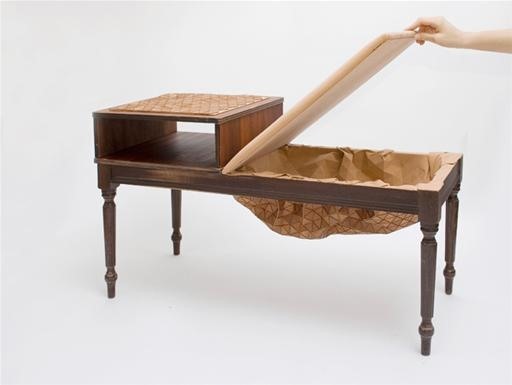 Truly innovative. 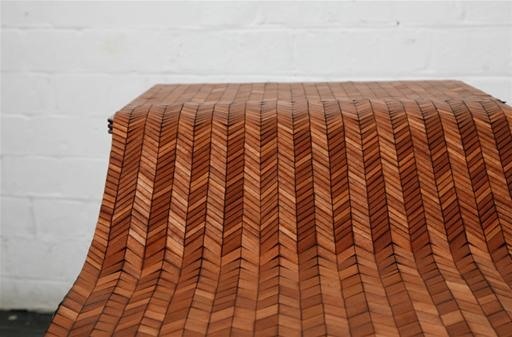 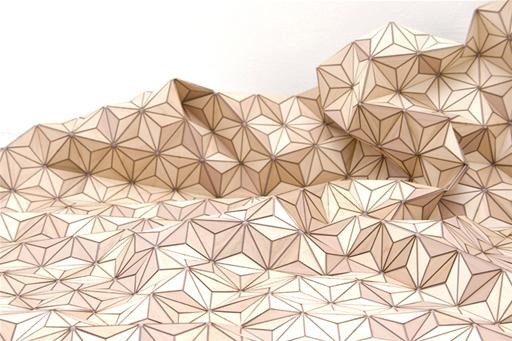 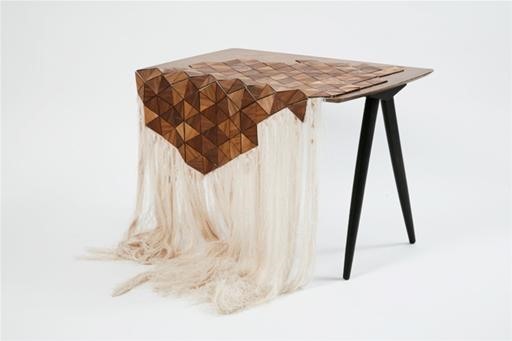 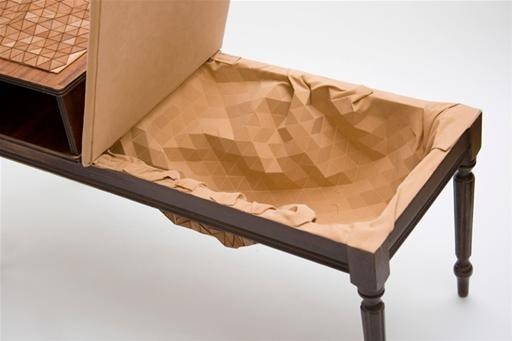 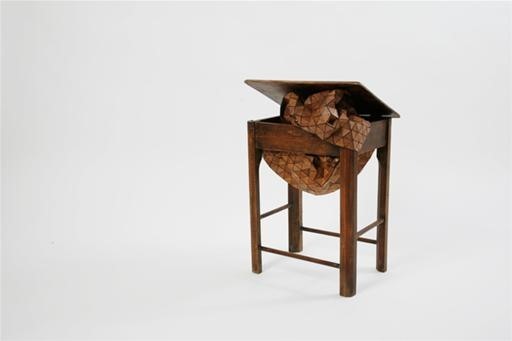 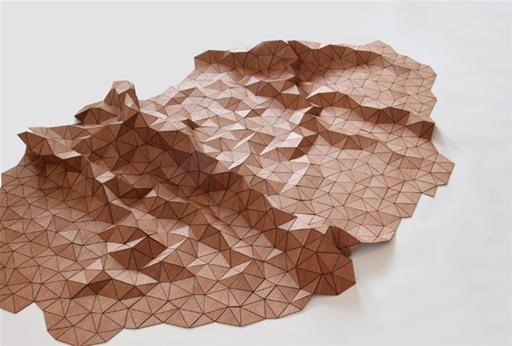 "...Utilizing wood veneers once considered waste and re-purposing them through hand and laser cut isosceles, Elisa is able to leverage the hard properties of wood and give them a fluid framework to create an innovative textile. 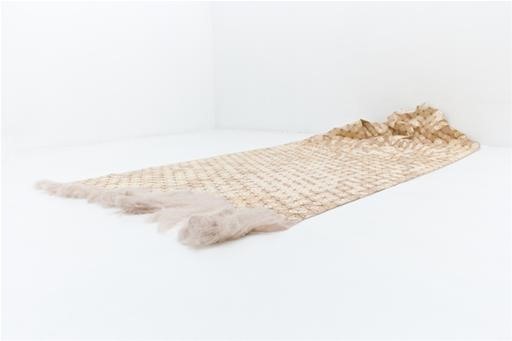 Her process gives the textile strength and flexibility. 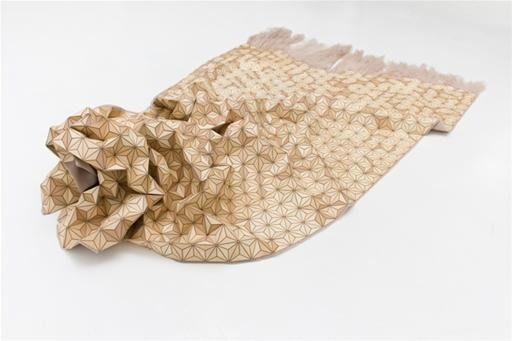 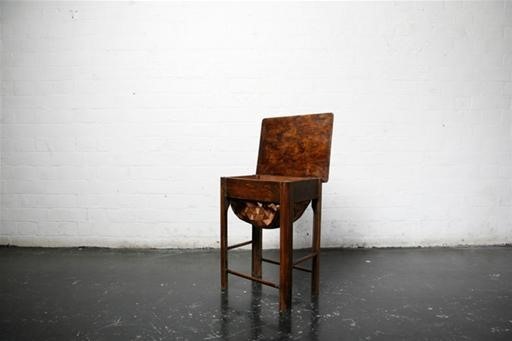 By carefully binding the wood veneers to fabric, she is able to create an experience of multiplicity and blur the qualities of how a textile is perceived to behave and function. 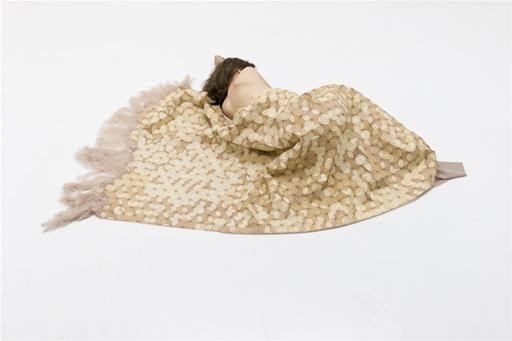 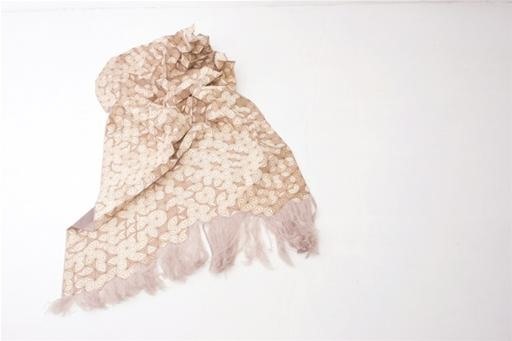 Her work brilliantly demonstrates the dimensionality and tactile experience a fabric can have..."